There is no doubt that women’s sport is having something of a ‘moment’ right now. Barely a day goes by without a major development being announced, be that about a new sponsorship relationship, new broadcast deal, new media launch or other significant investment of some type. It’s truly fantastic to see so much progress being made in such a short space of time, and long may it continue. The positive impact the increased visibility of women’s sport will have, particularly on young girls being inspired to get active and discover their own passions, is a major achievement and one that should be celebrated. The growing interest and investment in women’s sport also presents a major opportunity for brands, and it is one that we have been able to capitalise on for a number of our clients. OPRO, the maker of the world’s most technically advanced mouthguards, is the official mouthguard partner of a number of professional sporting organisations including England Rugby, the UFC and Great Britain Hockey. They also have several athletes signed as brand ambassadors, including Taekwondo World Champion Bianca Walkden, England rugby player Vicky Fleetwood and GBR Hockey player, Shona McCallin. Brands investing in women’s sport is a story in itself at the moment, and we have been able to leverage that to help secure coverage in business and trade media for OPRO, but it’s in the sports pages where the increased opportunities are most demonstrable. The number of journalists writing about women’s sport and the pages and sections dedicated to covering it have increased significantly in recent months. Most notably, the launch of the Telegraph women’s sport coverage has taken the space and prominence given to female athletes and their achievements in a national newspaper to a whole new level, but the space being made for women’s sporting achievements at most of the national press has increased. 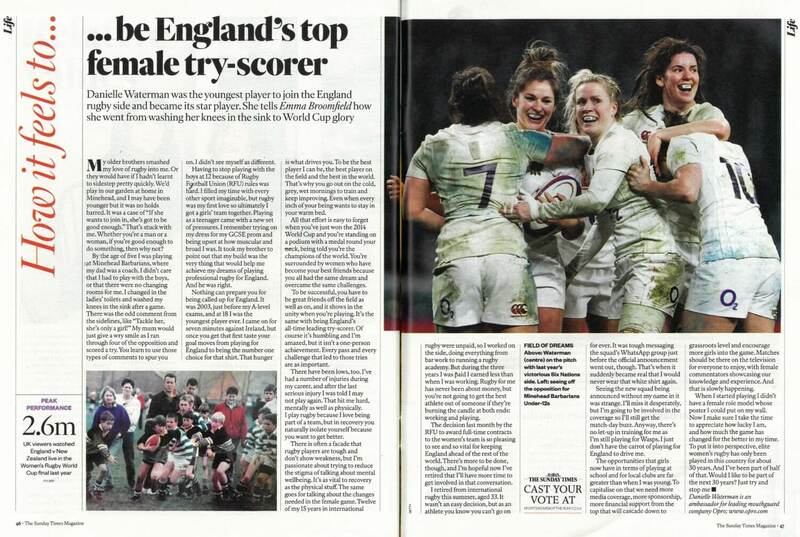 We were able to capitalise on this for OPRO during the recent women’s Six Nations tournament, placing interviews with Vicky Fleetwood in both the Independent and Mail Online. There is also an opportunity for brands to use their relationships in women’s sport to encourage participation at the grassroots level, and in turn to secure media coverage for those initiatives. 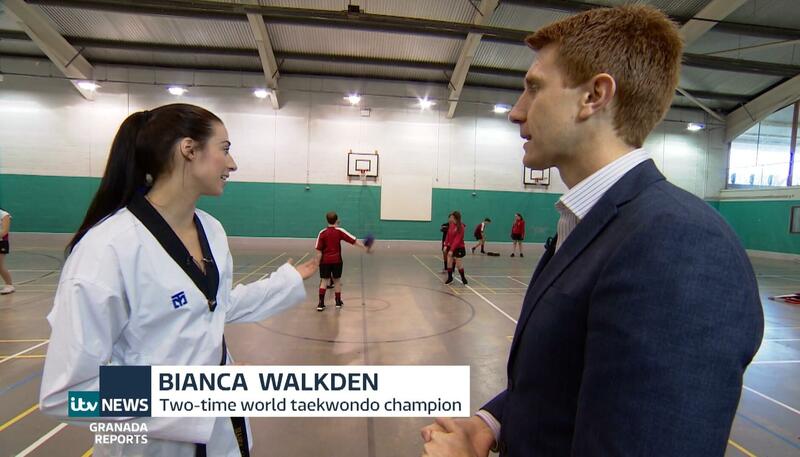 In January, in partnership with OPRO, Bianca Walkden hosted some taekwondo classes for school children as part of her mission to encourage thousands of girls to give martial arts a go. We invited BBC North West, ITV Granada and the Liverpool Echo down to take a look which resulted in the below coverage. As female sporting success is increasingly celebrated and the profiles of our top female athletes grow, there are also more opportunities for coverage away from the sports pages, in profile slots, set piece interviews and Q&As. Again, we have had success for OPRO here, lining up interviews for their female athletes in the likes of the FT and the Sunday Times. For brands involved in women’s sport – or for those about to step in to a women’s sport sponsorship partnership for the first time – the opportunities have never been greater. If you would like to find out how our award-winning sports team can help you make the most of these relationships, you can contact a member of the team here. We all know the health benefits that come with exercising and being active, it helps to strengthen the heart, it reduces blood sugar levels and helps to control weight – the positives are endless. But what about those who don’t want to exercise and have little interest in sport? Earlier this year Nuffield Trust published a report on obesity in the UK, the results didn’t make for pretty reading. In 2017 the UK adult population was made up of 65% who were classed as either overweight or obese. The percentage of people specifically obese in 2017 was 29%, 11% more than in 1997 and 5% more than in 2007. This trend suggests that by 2027 we could be looking at well over 30% of the UK adult population classified as obese. Even more worrying is that this trend has started to reflect in adolescents in the UK. A Sport England survey released at the end of 2018, found that 1 in 3 children (32.9%) do less than 30 minutes of physical activity a day, and girls fare particularly poorly. Whilst research conducted by the Women in Sport found that only 8% of girls aged 13-15 were achieving their daily exercise recommendations. What can be done about this alarming problem? How do we engage with younger generations and inspire them to want to participate in sport and stay active? We’ve looked at the organisations that are helping and supporting girls to take part in sport. The facts don’t lie, 1.5 million more men play sport than women each week and only 8% of girls are meeting recommended exercise guidelines. Meet the organisation determined to change that. Women in Sport exists so that every women and girl in the UK can experience the lifelong rewards of sport. Their vision is that they want to help create a society where women and men have equal opportunities. Whether it’s campaigning for more women in the boardroom or equal pay, the organisation is continually looking to drive change for the better through commissioned research and creating insights which focus on women and girl’s participation in sport. Leading the way in coaching excellence. UK Coaching have been around for more than 30 years equipping coaches in the UK with the required skills and knowledge they need to make a positive difference. In the expert opinion section of their website, several researchers have articulated about the drop off rate among females from when they transition from primary school to secondary school. As this has been identified as a key area of improvement, UK Coaching have created an excellent hub of resources from podcasts to guides all available to coaches and teachers to help them inspire children and stay in sport for longer. Focusing more on giving all children the opportunity to play and learn through cricket. Chance to Shine are actively encouraging children to play cricket through visits to schools and working with 39 County Cricket Boards across England and Wales. The charity believes that cricket can help to develop children’s personal, social and physical skills. The promising news is that since the charity’s inception in 2005, of the 4 million children reached, 46% are girls with this figure still rising. Inspiring and giving children more playing opportunities are at the forefront of how they measure impact. Established in 1995, the national children’s charity is passionate about improving children’s lives and creating a future where every child enjoys the life-changing benefits that come from play and sport. Last year, the Youth Sport Trust launched its new five-year strategy that focuses on the development of children’s sport, the key objective at the heart of the strategy is to tackle the disturbing decline in young people’s wellbeing. Youth Sport Trust are ready to support schools, teachers, parents and coaches to help young people discover the joy of movement and nurture happy active lifestyles. If you’re interested in finding out more about what our team could achieve for you and how we could raise your profile, please reach out and speak to one of our experts today. A flurry of recent client wins has seen the Sport & Fitness team onboard several new sports tech, fitness and lifestyle products. The team have been busy planning their approaches and drawing up their media targets. But, with a multitude of brands and products claiming to be the most innovative, the most technologically advanced, how can you stand out in a busy market place? To be able to sell a product at any level, it’s imperative that you first understand your product inside out. By having an in-depth understanding of the USPs of the product, its journey and the latest innovations you’ll put yourself in prime position to educate your target audience effectively. With client, SIXPAD, we did just that by trying out the product first-hand. This allowed us to drill down into the science behind its EMS technology, providing us with the platform to build a complete understanding of the key messages we wanted to convey in our outreach. The number one thing you must identify first in your outreach is your target audience. 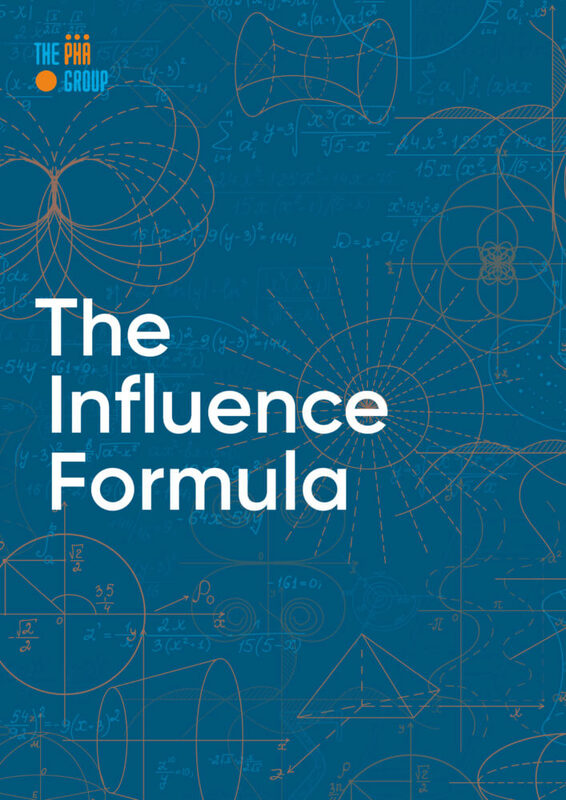 You want to leverage your product with the goal to drive sales, so you have to make sure you’re getting your product in front of the right people. With clients such as OPRO and dryrobe who cater for such varied and sometimes niche audiences, we’ve shown an aptitude to do this time and time again, but it’s only achieved by a meticulous level of planning in the initial instance. Once you’ve identified your media targets, it’s naïve to think the job is done. In what is a constantly changing media landscape, as a team we conduct regular audits of the media to identify new opportunities for our clients. Finally, it’s important to look at the bigger picture when planning any product focused outreach. What events can I tap into to get the product recognised in the media? What are the key sales windows for the product? With mouthguard provider OPRO, we always use events such as the Six Nations to get media engaging with the product. For SIXPAD, we helped them increase store sales by 98% in December compared with November 2018. During January, SIXPAD saw three times as many online sales on Amazon against October’s numbers. In an environment of ever-increasing competition, if you can tell a story through your product this will only give your campaign another dimension. With OPRO, we’ve done this to great affect achieving widespread coverage across the national business media including BBC News and Forbes. 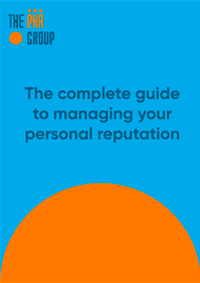 Treat yourself as an extension of the business and take the time to understand how you can use that business’ assets to maximise brand exposure. New partnerships announced, both on a corporate and ambassador level are an opportunity to engage with media. By looking for the talking points within these, you will only unlock further opportunity. 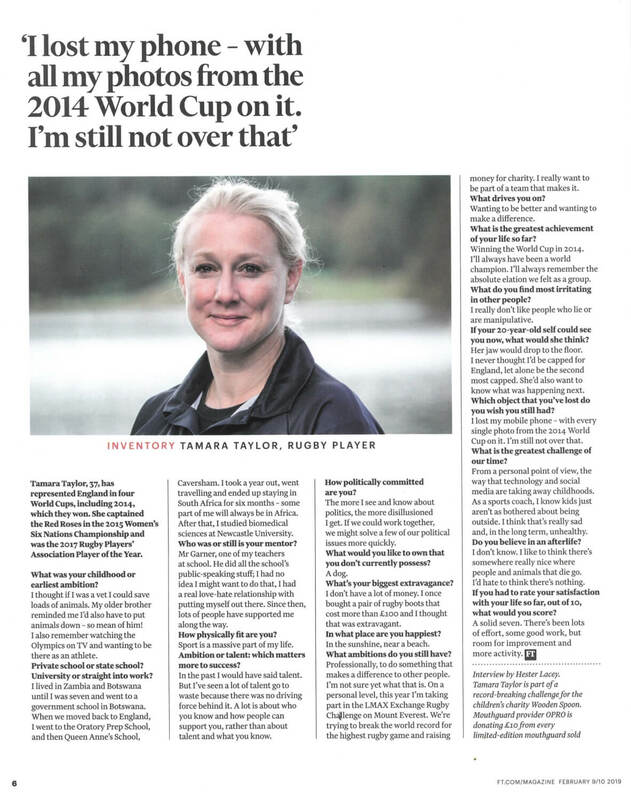 With OPRO ambassador and England Rugby International, Vicky Fleetwood, we used International Women’s Day and the recent Six Nations to generate some incredible exposure for the brand across national media. Within each piece of coverage, in order to inspire more girls into sport we communicated OPRO’s ethos to reinforce that point. To secure this level of detail, you must be meticulous in managing each opportunity you secure. This starts right from the initial approach to media. Think about how the product can excite them and how you can tap into the emotions of the writer and your target audience. Finally, never lose sight of the goal of the campaign. Evaluate success regularly and use it to shape your approach. If you’re interested in finding out more about what our team could achieve for you in the press, or you’d simply like to know more about our product placement expertise please reach out today. We’re here to help you achieve your business goals. January is a key time for fitness product placement. Being able to break through the noise and drive sales during the festive period can be make or break for many brands. Our Sport & Fitness Team worked with SIXPAD to help them do just that. SIXPAD brought The PHA Group onboard to help their manufacturer, MTG, leverage earned media channels to increase traffic to the SIXPAD UK website. Additionally, we were tasked with supporting the wider sales drive ahead of the key sales periods of Christmas and New Year. There was also a long-term ambition to position SIXPAD as an essential part of the consumer’s exercise routine, promoting the real benefits of having SIXPAD as part of your health and fitness regime. SIXPAD had started to suffer from a lack of brand visibility, with less people talking about, or being aware of, their range of products and the benefits of using them. SIXPAD were losing ground in the EMS category to rival brands on the market, who were owning the influencer space on social media with their low-quality high volume approach. More broadly, innovations in the fitness product market were providing consumers with more choice and making the sector ever more competitive. SIXPAD needed to find a way to increase brand recognition and to reach more consumers to help them stay competitive and own the market once more. We targeted a broad range of media titles to increase visibility amongst a varied audience base and to reach new potential SIXPAD customers. We launched the new EMS range to consumer media and gained several highly sought after placements in Christmas gift guides, which enabled us to put the product range front of mind for many of our potential target audience. The team also set out driving journalist reviews to secure positive write-ups during the festive period. We also secured inclusion for the product as a must-have training aid for those looking to kickstart their fitness goals in January. This kind of exposure, at this time of year, is hugely valuable for any fitness brand and it proved to be the case for SIXPAD. 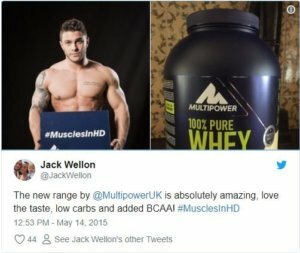 Finally, we undertook an influencer marketing campaign to enhance product reputation and to educate potential customers about the benefits of the SIXPAD products. In terms of sales impact – store sales were especially high, with an increase of 98% in December compared with November 2018. During January, SIXPAD saw three times as many online sales on Amazon against October’s numbers which was an outstanding achievement. The team secured more than 15 pieces of coverage over the crucial festive period, with a further 15 coming out in January and February during the busy New Year fitness period buzz. SIXPAD was featured across national news, lifestyle, technology and sport industry-specific titles including: The Independent, Metro, Daily Express, Daily Star Sunday, Harper’s Bazaar and BALANCE magazine. A piece of standout coverage was SIXPAD’s Body Fit product featuring in the highly sought-after Lust List product slot in Metro – the UK’s most read national daily newspaper. If you’re interested in finding out more about what our team could achieve for you, or you’d simply like to know more about our product placement expertise please reach out today. We’d love to find out how we can work with you to help you achieve your business goals. Last weekend, the number one obstacle course racer in the world Jonathan Albon had an opportunity to win a $1 million. At the start of the year, Spartan Founder Joe De Sena vowed to give $1 million to any athlete who won all three Spartan World Championship Races – dubbed the “Million Dollar Trifecta”. The Spartan race is a series of obstacle races of varying distances and difficulty ranging from 3 miles to marathon distances. Jonathan Albon is an all-round athlete who competes in both obstacle course racing and skyrunning; currently the undefeated OCR world champion, skyrunning world champion and winner of both the 2016 & 2017 skyrunning extreme series. Jonathan was set the challenge to win the jackpot of $1 million if he were to win the third and final event of the series – a 24-hour Ultra World Championship in Iceland. 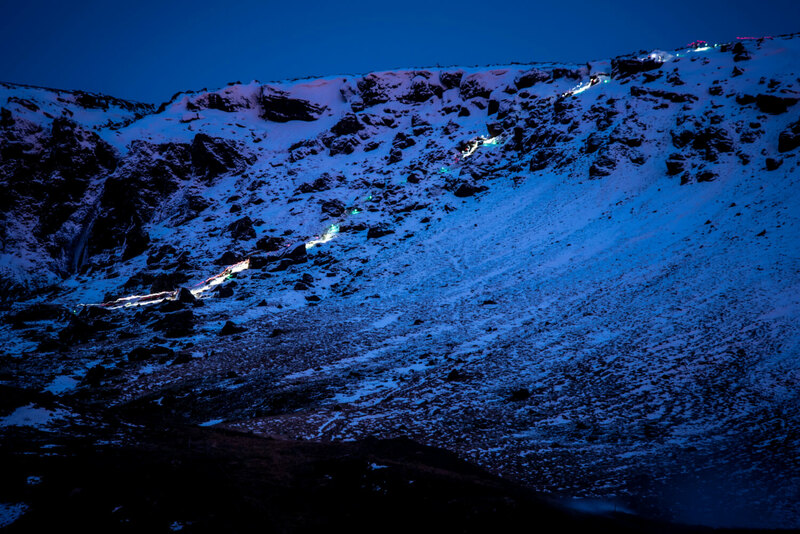 It wasn’t as simple as just completing it, he would only win the prize if he were to complete the 100-mile race within the 24-hour time limit set for the course. 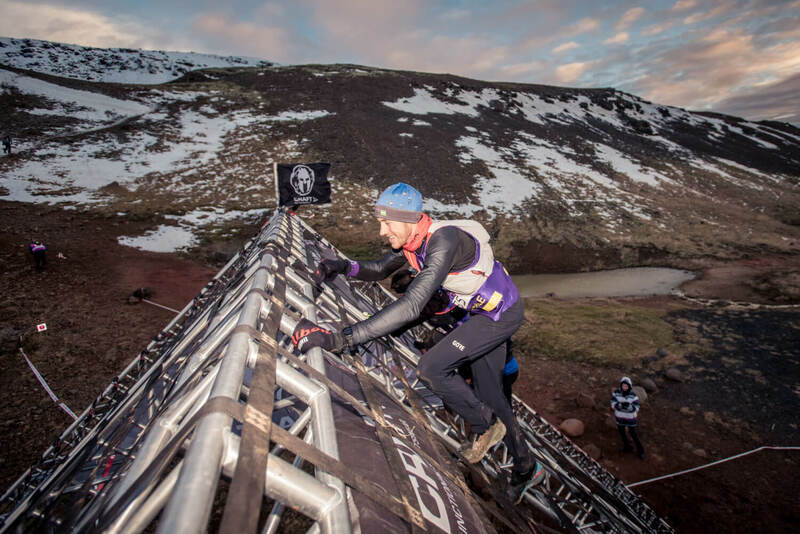 Spartan approached The PHA Group to help raise the profile of the Ultra World Championships in Iceland, by utilising Jonathan’s participation. Jonathan is probably the UK’s most unknown world number one and PHA were set the challenge of ensuring everyone knew who he was. The team set to work and focused their efforts on putting together a communication strategy that would raise Jonathan’s profile, increase coverage about the Ultra World Championships and all in a very tight timeline. Their ability to turn something around quickly and their extensive media relations experience and a large network of key sport and fitness journalists ensured great results with coverage across a wide range of publications and networks. 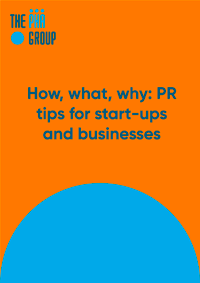 Our experienced PR team managed to place 18 news stories around the event on major outlets including BBC Sportsday, Telegraph Online, BBC online, Mail Online, Sports Bible, Runner’s World, The I, Square Mile and Talk Sport. As well as a five-page feature on the event that was published on December 29th in Saturday Times Magazine. Unfortunately, Jonathan didn’t manage the feat, but it made for a fantastic story and an incredible achievement nonetheless to participate and be in for a chance to take the top spot. Interested in hearing about how we might be able to help you promote your mass participation event? Speak to a member of our award-winning team today to find out how we can support your event. Whatever the industry, brands will continue to battle it out for top spot until the end of time. It’s rare that we see a brand blow away its competitors for a sustained period and completely monopolize the industry in the process but that is exactly what global tech giant Fitbit did. In less than a decade Fitbit went from being a hopeful startup that almost died seven times in the initial stages according to CEO James Park, to a tech powerhouse worth over $4 billion. So how exactly did Fitbit dominate the wearables industry? We take a look at the strategies that turned the once-faltering startup into one of the most recognisable global brands on the market. Fitbit decided to incorporate a process that saw them strive for improvement rather than perfection on all their products. There’s been a constant stream of new gadgets released ever since the very first Fitbit model launched at the end of 2009. The Ultra followed soon after in 2011, which included an altimeter, digital clock and stopwatch feature. The following year, Fitbit launched the One & Zip which were the first fitness trackers to be completely wireless. In total, Fitbit have produced 18 different fitness trackers in just nine years, what makes it even more impressive is in 2015 they didn’t launch anything and still sold 18 million fitness trackers. Today is no ordinary Monday. Make the most of this Fitbit sale with up to $70 OFF—major discount-snagging endorphins coming your way. Ends tonight! Link in bio. Over the years Fitbit’s sleek desktop dashboard has helped to provide consumers with an extra level of reassurance and knowledge to their workouts. Before Fitbit was around, there was very limited information available to consumers regarding their heartbeat and fitness levels, calories burnt during exercise, optimum points of the day when they have burnt the most calories all whilst tracking your daily steps. Fitbit empowered people to take ownership of their exercise. This was a key strategy for the wearables brand and helped to cement Fitbit’s position as a giant in the fit-tech industry. By creating and building an environment where friends and family could compete against each other this let to an influx of fitness communities all around the globe. It became part of people’s fitness regime and the communities began to share and engage with each other over their results. Fitbit took the decision to partner up with leading fitness and wellness businesses, realising that challenger brands in the industry could strengthen their position in the market. Fitbit could begin to target a larger demographic they wouldn’t have been able to reach. They teamed up with Habit the world’s first complete personalised nutrition solution. Habit use Fitbit data to create tailored food recommendations and nutrition plans for consumers. Another partnership was formed with Peloton, a company that makes peddling at home so realistic you’d think you were taking part in the Tour De France. The use of Fitbit data enabled Peloton customers to monitor their improvement and progress all in one app. Fitbit’s data partnerships have resulted in a 37% growth of their active user community grew. Park realised they had to revamp the brand and find a new revenue away from the tough consumer market if they wanted to continue their growth, it was decided corporate wellness was the answer. Fitbit Care was designed to promote wellness, and improve disease management and prevention through health coaching, digital interventions and personalised care plans. Health care costs pose a challenge to employers, so a platform that could help employees with conditions like obesity, diabetes and heart disease could turn out to be a great success for Fitbit. The Fitbit Care launched in September, so it will be interesting to see if Fitbit’s latest move can help continue their success. If you would like to find out more about our sport and fitness public relations services, or how we worked with some of the UK’s top sporting brands speak to a member of our team today. One of the most popular New Year resolutions is to exercise more, which means gyms and fitness classes often see a spike in membership sales throughout January. But often by March these numbers decrease, with members deciding to cancel their fitness dreams, leaving business owners pondering the same question they were last year ‘How can we keep our members long-term’. For many fitness centres maintaining a membership drive consistently throughout the year can be a challenge. With some strategic planning, the right tools, and a continued approach to member engagement the revenue inconsistency can become less of an issue. Are you contacting and keeping your customers updated with the latest news about the gym especially when New Year resolution gym enthusiasm begins to drop off? LA Fitness needed a new way to keep their members’ attendance up and previous methods of calling weren’t cutting it. They decided to create an email marketing campaign which targeted people whose memberships were close to expiring. LA Fitness created a friendly offer-based email, with a clear and simple message linking to the renewals page of the site. The results, LA Fitness received a significant boost in open rates from 20% to 33% and upped their renewals. According to an article published by The Drum, as much as 93% of consumers let online reviews impact purchasing decisions. This can have an effect on sales and will inform prospective members about your gym’s services, staff, facility and culture when they’re searching for a new gym to join. Reviews don’t only build trust, but they also play a major role in SEO performance, which is how Google calculates where you sit on the search engine. Brands have begun to use trusted independent review platforms such as Feefo, which allows consumers the opportunity to give a more authentic review, meaning that as a business you can judge far better what your members are happy and unhappy with. Think about offering individuals or group challenges to your members. Not only will you be motivating them to exercise, but you’ll be encouraging them to engage with other members at the same time. Pure Gym challenged its members in May l, to find out who could do the most repetitions of three bodyweight exercises in just 30 seconds. The winners from each gym received a free month gym membership. Win A 12 Month membership!! Up for the challenge? How are your members greeted when they walk in the door? Fitness First trained 10,000 staff over a 12-month period in a bid to improve customer service and make customers feel more welcome. Fitness First boss at the time, Andy Cosslett, went on to say, ‘now when a regular Fitness First customer walks through the doors, they are greeted by name. If people feel comfortable and supported, they come more often and bring more people with them’. Cosslett has widely been credited as the man who lead the gym chain’s turnaround from the brink of bankruptcy to resurgent business. Would you like to discuss through some creative ideas you might have for your next campaign? Why not speak to a member of our team today, to find out how we could help deliver your best sales figures yet. At The PHA Group, we specialise in providing PR support for multiple mass participation events. Most recently we have worked with a number of brands including UFC (Ultimate Fighting Championship) – the world’s largest and highest mixed martial arts promotion, as well as successfully launching the endurance event ToughMudder to the UK, and for the last four years, we have worked closely with the Royal Parks Half Marathon. The 11th edition of the Royal Parks Half Marathon takes place on Sunday 14 October where we will see 16,000 runners go through four of London’s eight Royal Parks, including Hyde Park, The Green Park, St James’s Park and Kensington Gardens. It is still the only race of its kind that takes place in the major parks of central London, and whilst there have been some small changes to the route over the years, the race continues to celebrate London’s most iconic green landscapes. 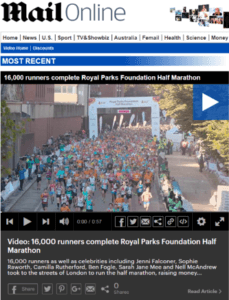 In order to create as much noise as possible ahead of the event, and to ensure The Royal Parks Half Marathon is continually positioned as one of the most iconic events in London, we have worked tirelessly to deliver a successful communications campaign over the last four years. We’ve regularly delivered over 200 pieces of coverage around the race and employed excellent tactics to achieve our client’s objectives. 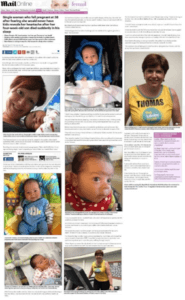 This year we have achieved over 80 pieces of coverage alone in outlets such as the Evening Standard, Women’s Health, Daily Express, Metro and Independent.co.uk. 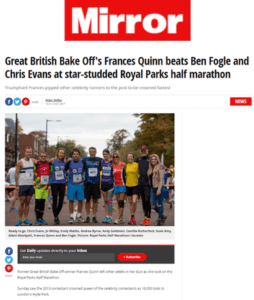 The Royal Parks Half has remained focused on its charitable aims which is a credit too much of its success with their many charity partnerships. The race has now raised in excess of £36 million since 2008 for its participating charities. 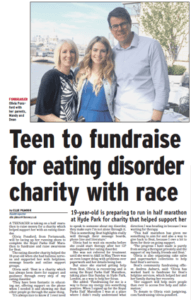 Working closely with the races charity partners, we have been very successful at placing runner case studies of individuals who are taking part in the event to raise money for their respective charities. 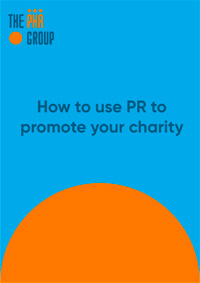 Last year, we placed 40+ case studies for charities including GOSH, Cancer Research UK, Mind, and MacMillan. Helping to increase their fundraising efforts. 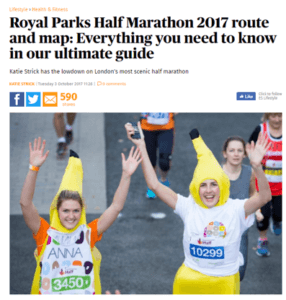 The Royal Parks Half Marathon work has different sponsors each year and we work closely with them to maximise coverage around the race. 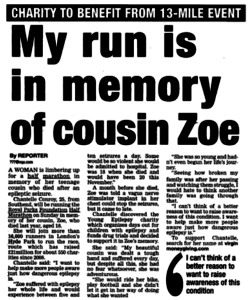 Whether that’s inviting journalists to do a gait analysis at Runners Need, to placing expert comment from coaches at TruBe, to announcing corporate sponsorship deals with Royal Bank of Canada, our campaigns always maximise opportunities. 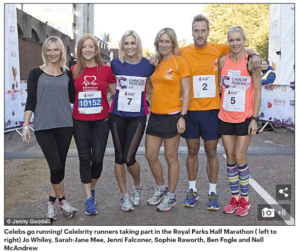 Over the course of the last four years, we’ve had a number of celebrities take part in the race including TV personality Ben Fogle, Olympian Rebecca Adlington, actor Adam Woodyatt, radio presenter and DJ Chris Evans and TV presenters Jenni Falconer, Emily Maitlis and Jo Whiley. Every year we have secured attendance from at least 30+ journalists including London Evening Standard, Mail Online, Daily Express, Mirror Online, Metro, ITV London, The Telegraph, Men’s Fitness, Women’s Health and Women’s Fitness have all taken part in the event in the last few years. We pride ourselves on delivering impactful, measurable campaigns for our clients and don’t stop working until the job is done. As a team, we are hugely passionate about sport and fitness and love what we do. You can expect that enthusiasm to shine through in every aspect of our work.